Canine influenza is a highly contagious viral infection that occurs in dogs. Also called dog flu, this respiratory illness is caused by the influenza A virus. Although rarely fatal, the highly contagious nature of the dog flu has made outbreaks of the illness very concerning for boarding kennels, veterinary offices, and other facilities where dogs go. There have been multiple documented outbreaks of dog flu in the US that cause boarding kennels to shut down and veterinary offices to become overwhelmed. It is very important for dog owners to understand dog flu and take appropriate steps to avoid exposure. As of April 2015, two strains of canine influenza have been identified: H3N8 and H3N2. Coughing (sometimes a dry, persistent cough that resembles kennel cough). Although there is no known cure, canine influenza can usually be treated with supportive care. If your dog is showing any signs of illness, contact your veterinarian right away. After performing a thorough examination and some diagnostic tests, your vet will determine the best plan. Treatment generally involves maintaining hydration, supporting nutritional needs and preventing or treating secondary infections. Dogs with severe flu signs will need more intensive veterinary care. Left untreated, canine influenza can lead to pneumonia. That is why it is so important to seek veterinary attention at the earliest sign of disease. With proper care, most dogs will make a full recovery. Most dogs can recover at home with supportive care. A small number of dogs will require hospitalization. The mortality rate for canine influenza is less than 10%. Canine influenza is a somewhat newer disease, so dogs generally lack natural immunity to it. 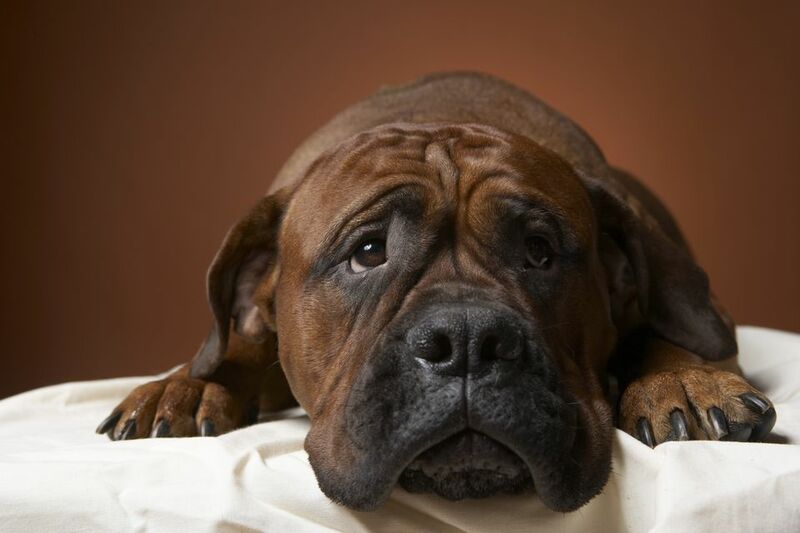 The virus can affect dogs of all ages, breeds, and sizes, even those in optimum health. That is why nearly all dogs exposed to the dog flu become infected. Canine influenza is spread through contact with the respiratory secretions of infected dogs. Exposure can also occur by contact with contaminated objects. The risk of exposure increases in areas where dogs gather. This includes boarding kennels, dog parks, "doggie day care" and canine events (dog sports, trials, conformation, etc.). There are vaccines available for each strain of canine influenza (both separately and combined). Many veterinarians and boarding facilities are requiring the newer vaccine (H3N2) for all dogs that enter the facility. Many recommend the older (H3N8) strain but may not require it. If your dog is exposed to many different dogs on a regular basis, both canine influenza vaccines might be recommended. Ask your veterinarian for more information about the available dog flu vaccines. Fortunately, canine influenza is not known to be transmissible from dogs to humans. However, it is possible for humans to transfer the virus from one dog to another through contact. That is why proper hygiene is essential to prevent the spread of the virus. Be sure to wash your hands, face, and clothing after contact with unknown or sick dogs. Thoroughly clean all areas and objects that may be contaminated. Household disinfectants are known to kill the canine influenza virus. Note: The H3N2 strain of canine influenza virus may be transmissible to cats. Neither strain is known to be transmissible to other species. If there is an outbreak of canine influenza in your area (there were several outbreaks of H3N2 in the US in 2015), you should take extra precautions to protect your dog. Suspend visits to dog parks, doggie daycare, boarding facilities, and any other place where many dogs come and go. Avoid all contact with other dogs during walks. Note that even dogs without symptoms may be contagious. If your dog does get sick, contact your vet as soon as possible.